FUNDRAISING DAY: Saturday 31st AUGUST 2019. Please SAVE THE DATE and help us raise much needed funds for the Club by packing bags at Tesco Extra, Clifton Moor, York. More details from Lindsey Karavics or Rachel Price. 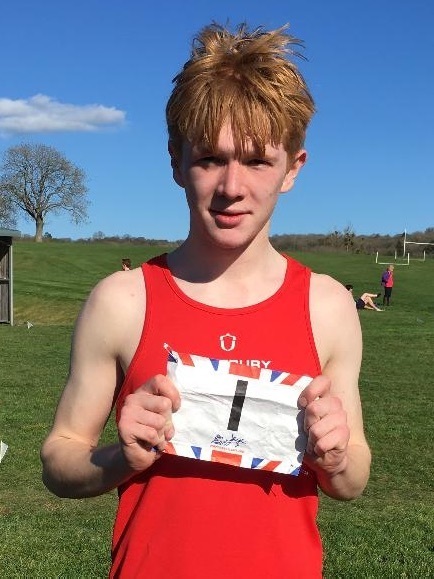 Congratulations to Hartpury student and Yorkshire member Josh Hood for making it another FIRST at the 3rd Under 19 Youth Ranking Competition this weekend. Also great performances from Sophia Lubiecki in the girls competition and Alex Parker in his first Youth Ranking competition. Well done guys! 2018 has seen new, younger athletes attend training sessions and competitions and I feel we should see this as a positive step into the future. The introduction of the Laser Run series, an increase in Schools Biathlons, the re-emergence of taster days and the success of our satellite clubs have all had a positive impact and the future is looking brighter then it seemed a few years ago. Obviously a lot of hard work has gone into developing these events and sessions and I would like to thank all of the committee members, coaches, co-ordinators and parents who have contributed to this success. Of course events cannot be run without the good will of volunteers. Hopefully, with the emergence of the younger athletes, this will lead to more parents wanting to volunteer at events or become a member of the committee to help build the club for their young athletes. This has been a problem in the recent past, not just at Regional level but also at the larger National events, where other people, not just the regular few, need to step forward. Of course we are extremely grateful for any help that is forthcoming at our events and are always willing to hold an informal training session if people are a little unsure of, say…how to preside over a fencing piste or….how to time at the laser run. All help is gratefully accepted. It has also been refreshing to see the emergence of the younger coaches that we have utilised at camps, ETP days and training sessions. I have been given a lot of positive feedback from these sessions and it is encouraging to note that the next generation of athletes have responded to both the ( ahem ) `more mature’ coaches and the young whippersnappers!! I say this due to the results at National competitions and the selection of our athletes to represent their country at international events, the latest of which will be the Laser Run World Championships. I hope everyone who is making the trip has a successful, exciting time in Dublin. Everyone should be extremely proud of what they have achieved over the last twelve months and I know that we will see more Yorkshire athletes on the podium at National events. Bridlington Fencing Club welcome Pentathletes. YMCA in Scarborough, 7.15pm - 8.30pm for 9 to 17 year olds and 7.15pm - 9pm for adults. East Riding Lesiure Centre, Promenade, Bridlington, 6.30pm - 8pm for 8 to 17 year olds and 6.30pm to 8.30pm for adults. Equipment is provided at both clubs but you are required to wear long trousers and trainers. The first session is free and subsequent sessions are £4 for children, £5 for adults at Scarborough; £3.50 for children and £5 for adults at Bridlington. 90 days free insurance is provided. I hope that you are all fit and well and that you have enjoyed your summer. I wanted to notify you of a slight change in the arrangements for training sessions following a recent committee meeting and a review of the Club’s finances. By way of explanation, the Club is liable to pay venue and coaching costs for any pre-arranged coaching session unless adequate time can be given to cancel the session. Our coaches are all self-employed and need to have sufficient notice if one of these sessions does not go ahead. Monday Evenings: Athletes should be confirmed by the preceding Thursday at the latest with Isabelle Barnard. If there are insufficient athletes for this training session to run then a reminder to all parents will be sent out on the Saturday. If there are no further confirmations following this email then the training session will be cancelled on the Saturday evening and the relevant athletes will receive notification. Saturday Training: Athletes should be confirmed by the preceding Saturday at the latest with Isabelle Barnard. If there are insufficient athletes for this training session to run then a reminder to all parents will be sent out. If there are no further confirmations following this email then the training session will be cancelled on the Monday evening and the relevant athletes will receive notification. Going forward, we would prefer all bookings to be confirmed by payment via BACS. Obviously if the session is cancelled, there will be no charge to any of the athletes booked on and the payment will be carried forward to a future training session. If an athlete has booked on to a training session but does not turn up and has not previously notified us, unfortunately we will not be able to issue a refund or a credit. Although we do receive some funding to run some of the Taster days, we are unable to run our regular training days at a loss and we hope that this change will result in a more efficient system for all. Finally, I would like to thank all the parents who have volunteered at events and training sessions over the previous few months in what has been a very busy period. Your help is invaluable in making the events go as smoothly as possible and it is greatly appreciated. We are however in need of ‘recruiting’ some help from some of the Mums to act as a female chaperone when no female coach is present. If this is something you would consider then please contact Ann Marshall. Ann’s details can be found on the new Yorkshire Pentathlon Club website. Hello everyone, just a quick message regarding the fantastic achievements of all our Yorkshire athletes at the aforementioned Championships in Bath last weekend in very hot conditions. It never ceases to amaze me the amount of dedication, time and commitment that the athletes have to give in order to perform at such a high level. This was once again evident in the final results of all age categories where once again Yorkshire athletes placed very highly and won a ton of medals! Absolutely fantastic!! 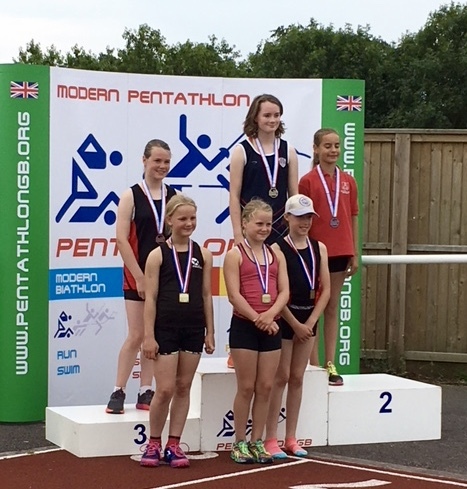 Although this was the National Pentathlon Championships I would also like to congratulate the athletes that competed so well in the Tetrathlon. The experience for the athletes in both competitions will be invaluable as they continue to progress and improve as they get older. It can be daunting for the younger athletes to compete at the larger events and everyone did such a fantastic job with their performance. It was also relayed to me how everyone got on and supported each other during the events. That is the ethos of Yorkshire and you should all be immensely proud of what you achieved. 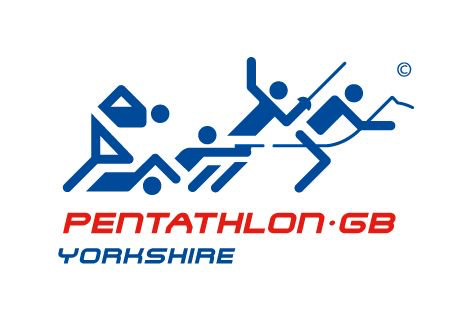 You have all shown that there is great potential in Yorkshire Pentathlon and that we will continue to achieve great things at National competition! A final mention of thanks to the coaches and parents of the athletes. Without your continued support and commitment the athletes would not be able to compete to such a high level so thank you for the time and encouragement you give to them all.